From 16 to 24 June in Shanghai was the 15th International Film Festival (Shanghai International Film Festival – SIFF), which is an official partner of the watchmaker Jaeger LeCoultre. 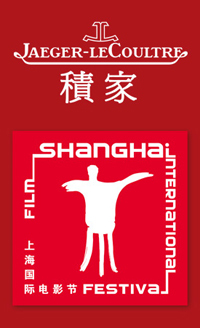 SIFF – the largest and most influential film festival in Asia and Oceania, the recognized International Federation of Film Producers Association (International Federation of Film Producers Associations – FIAPF). In the framework of Jaeger-LeCoultre and the SIFF is working on the restoration of old Chinese films, as well as assisted the rising star of Chinese cinema and young promising film producers. Collaboration with the Swiss manufacturer SIFF started in 2009. Over the last three years, Jaeger-LeCoultre shared with the organizers of the grand events of the total devotion to the cultural heritage of China and in favor of supporting and promoting the Chinese film industry. Each year the festival screenings are conducted under the name “World Cruise Jaeger-LeCoultre on the revival of classical Chinese cinema.” In 2014, the final gala screening will take stock of the first five years of cooperation. The company Jaeger-LeCoultre has always taken an active part in the development of film industry. It is also an official partner of the Venetian and the Abu Dhabi film festival.